/INS. When it comes to spare parts, there’s no matching the genuine quality you gain from using Alfa Laval genuine parts, designed and manufactured for durability, reliability, productivity, less environmental impact and long life. With fast, easy access to a broad range of long-lasting high-quality parts, you can boost productivity, maximize uptime and save time and money over the long term. Alfa Laval and our authorized service partners ensure the maximum output of your Alfa Laval hygienic equipment throughout its life cycle. Working with our committed network of global service partners secures equipment uptime and optimization, plus the availability of parts and expertise. • Parts that ensure reliability: Alfa Laval genuine spare parts are perfectly matched to your equipment and carefully manufactured to ensure reliable long-term performance. • Efficiency and security: The experts who service your equipment have the skills and experience to minimize service time, plus the knowledge to spot problems before they occur. You prevent unplanned interruptions and enjoy peace of mind. • People who know, respond and understand: You have easy access to expert and specialist support, provided by people who respond quickly and can offer assistance in your local language. 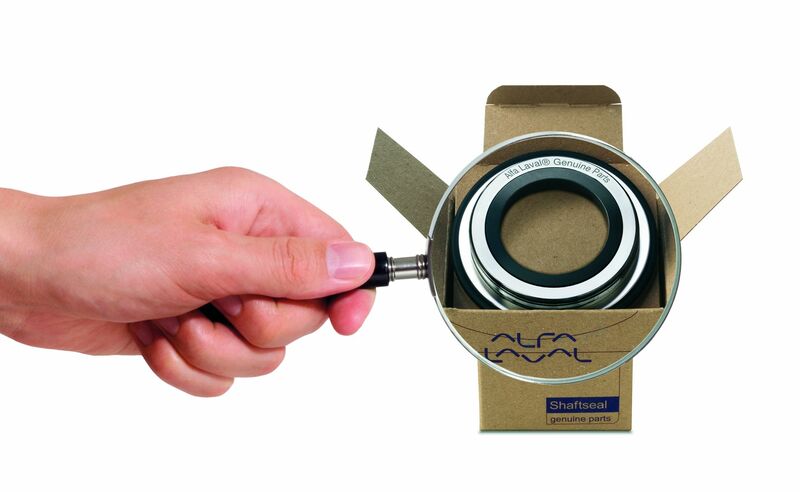 • The right parts where you need them: Alfa Laval has a determined logistics team whose sole focus is getting the right parts where you need them, in the right number and in as little time as possible. • The answer to changing needs: Services and solutions are available to help your equipment adapt, whether to new media and capacities or to changing regulations and business drivers. • Collaboration for better performance: Our service partners listen closely to how you use your equipment and provide the right solutions for you, drawing on Alfa Laval experience from similar situations around the world. Furthermore, we strive to make new technology available retroactively, so that your existing equipment can benefit from the latest R&D.